Charlotte Blake Alston will tell stories at the Forest Storytelling Festival. The 17th Annual Forest Storytelling Festival takes place in Port Angeles, Washington, on October 14, 15, and 16, 2011. Five professional storytellers will be featured this year: Charlotte Blake Alston, Michael Reno Harrell, Patrick Ball, Paul “Che oke’ ten” Wagner, and Ingrid Nixon. Each brings their unique perspective and experience to their tales. They will also each lead a Saturday afternoon workshop, guaranteed to enlighten and entertain. Tell your own stories while in Port Angeles, on stage during the festival or during a break, over a glass of Washington Wine made on the Olympic Peninsula. 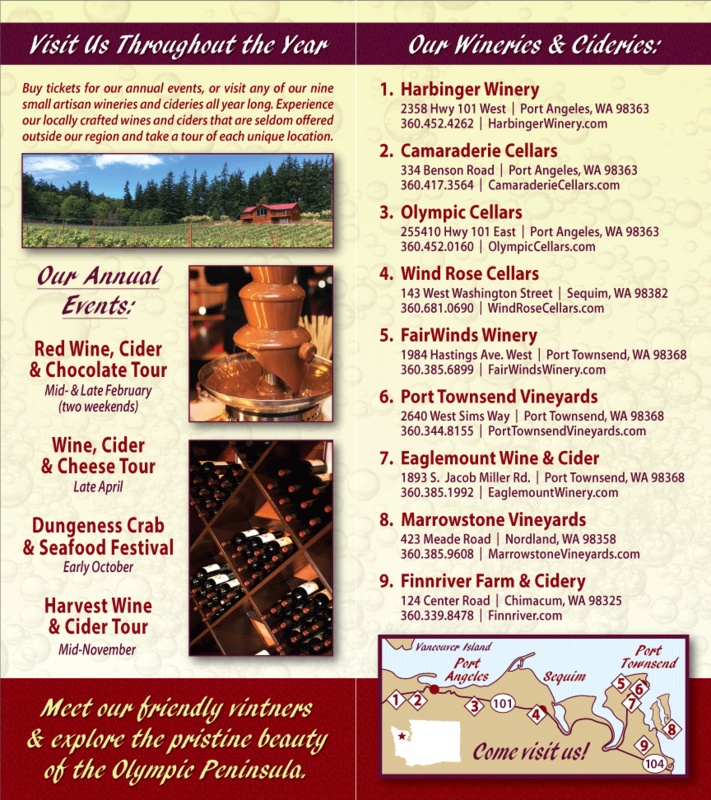 Four of our member Olympic Peninsula Wineries are located in Port Angeles: Harbinger Winery, Camaraderie Cellars, Black Diamond Winery, and Olympic Cellars. Try their wines at individual wineries, and bring a bottle or two back home, to enjoy with friends while sharing stories about your weekend at the Forest Storytelling Festival. All festival events take place at the Peninsula College Little Theater. For a complete schedule, please see the Forest Storytelling Festival.